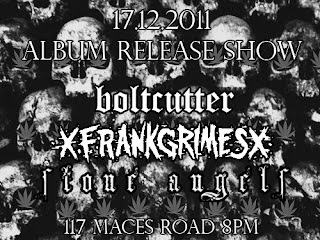 All three albums are a bargain: XfrankgrimesX and Boltcutter selling for $7 each, or $10 for both, Stone Angels for only $10, so pick up all three for the super ridiculous low price of $20. Entry to The Trike Club is $7 with exact change (for you bargain hunters) or $10 without, which gives you entry to another sweet raffle of merch and other liquid necessities. 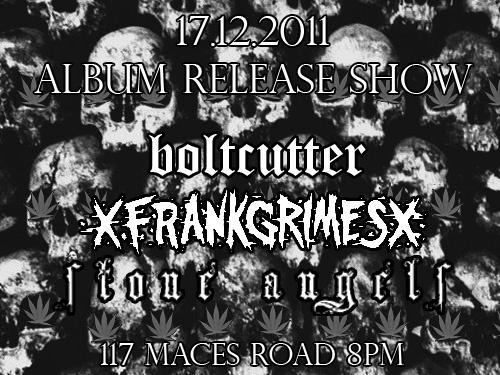 Doors at 8pm, BYO and AA, so there's no reason not to come party through the night.